Traveler Reviews for Private Tour in Sankt-Peterburg, Sankt-Peterburg, Russia by Tour Guide Alexander S.
Alexander was an excellent guide. His knowledge of St Petersburg and Russia in general was very detailed. Shudn't have over charged us for all admissions tickets amounting another 160 Euro in total for Hermitage n Peterhoff. 2 adult 2 children for lower garden at Peterhoff was only 1500 ruble n he charged us 80 euros for a walk in no pre arrange purchase. This is supposed to be a trusted private tour. TOUR GUIDE RESPONSE: I'm sorry to hear that the customer didn't like the tour. She called me one day before her arrival and I had to pay double price to arrange all admission tickets, including 'skip the line' tickets to the Hermitage museum and Peterhof gardens for 4 people. We didn't visit the Peterhof Palace because I had to book the tickets at least 2 weeks before the arrival. We didn't go to the supermarket because of the lack of time, but they could buy everything they needed at the local market. We used ToursbyLocals in Stockholm, Helsinki and St Petersburg while on our Baltic Cruise June-July 2017. Alexander was an industrious guide and tried his best to plan and include all of our requests. Only problem was his English was a bit lacking and he was not so understanding to needs of four 70 year-olds. All in all, we had a great time in St. Petersburg, especially riding on the underground trains and admiring the different sculpture and decorations at each station. Thank you, Alexander. TOUR GUIDE RESPONSE: Thank you very much for your feedback, Phyllis! It is great to hear that you enjoyed your time in St Petersburg. I'm sorry to hear that I was sometimes hard to understand of four 70 year olds. Alexander was Friendly, Organised and delivered what we discussed and he promised Happy To recommend. TOUR GUIDE RESPONSE: Thanks, David! I was happy to organise and deliver the tour for your party. 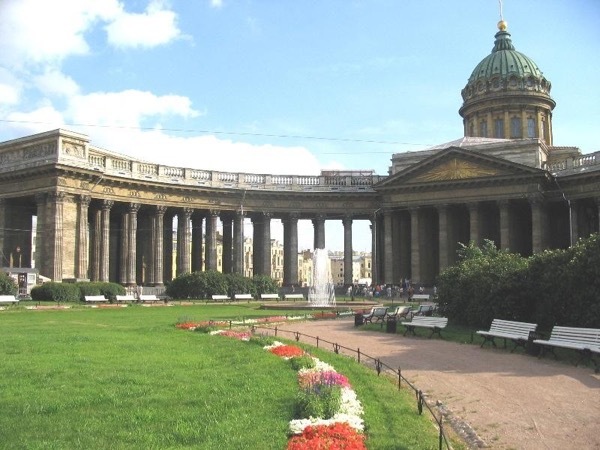 Alexander took us on a simply wonderful tour of Saint Petersburg. We wanted to see several specific sites, and he organized the day around our requests. He is a truly devoted guide. with a wealth of knowledge which he shares with ease. his expertise allowed us to fully appreciate the sites we visited. If you are ever in Saint Petersburg, use Alexander as a guide. You will be in excellent hands. TOUR GUIDE RESPONSE: Thank you very much Don! I really enjoyed to show you around our wonderful city and visit St Alexander Nevsky Monastery, the Russian Museum, etc. Thank you very much for everything! Alexander was absolutely exceptional! We had a wonderful experience with him during our tour of St. Petersburg. He is very knowledgeable and a nice guy, too. At the end of the tour, we invited him and his wife to visit us in the U.S. -- it was that kind of experience. I was particularly interested in Soviet-era landmarks and buildings, and Alexander took the time to structure a tour specifically to address my interests. I really, really appreciated that. Such a good guy! TOUR GUIDE RESPONSE: Thank you very much Robert! It is great to hear that you enjoyed my tour which I customized specially for you and Jane. You are always welcomed to Leningrad again. There is still so much to see and explore here. I wish I had more customers who are interested in Soviet era which is a big (and not bad!) part of my own life. Hopefully to visit you and Jane in Arkansas in my next trip to the USA! TOUR GUIDE RESPONSE: Thank you very Anthony! I will be happy to see you again in St Petersburg! Alexander was an excellent tour guide. We were on a cruise which had a stop in St Peteresburg. We wanted to design a one-day tour which would appeal to us and our 3 teenage children. Alexander helped us to set up a day which covered everything we wanted to see as well as an evening at a Russian show. We also had lunch at a great Russian restaurant we really enjoyed. Alexander made it all easy. I would definitely recommend him as a guide. TOUR GUIDE RESPONSE: Thank you very much Marc! And Museum of Soviet Arcade Machines was great too!